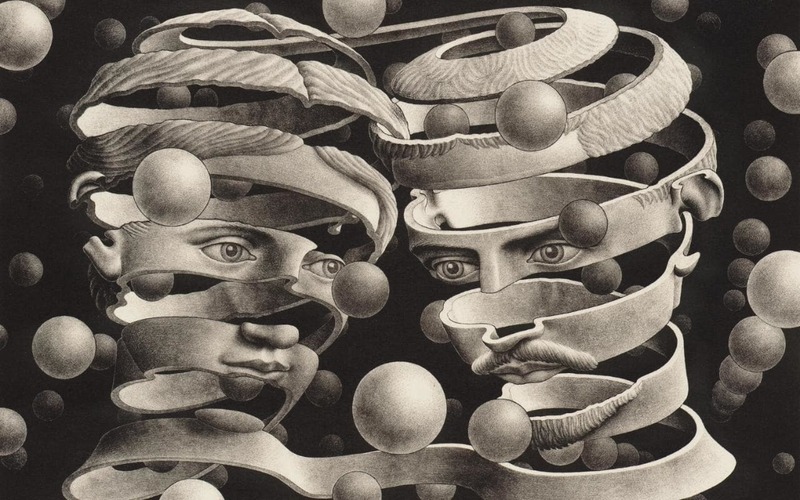 Maurits Cornelis Escher (1898-1972) created incredible mathematical art. 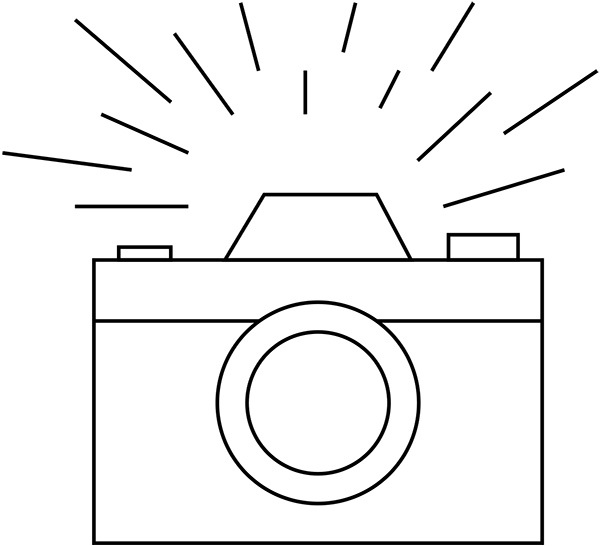 Through repetition, geometry, perspective, reflection. symmetry, tessellation. 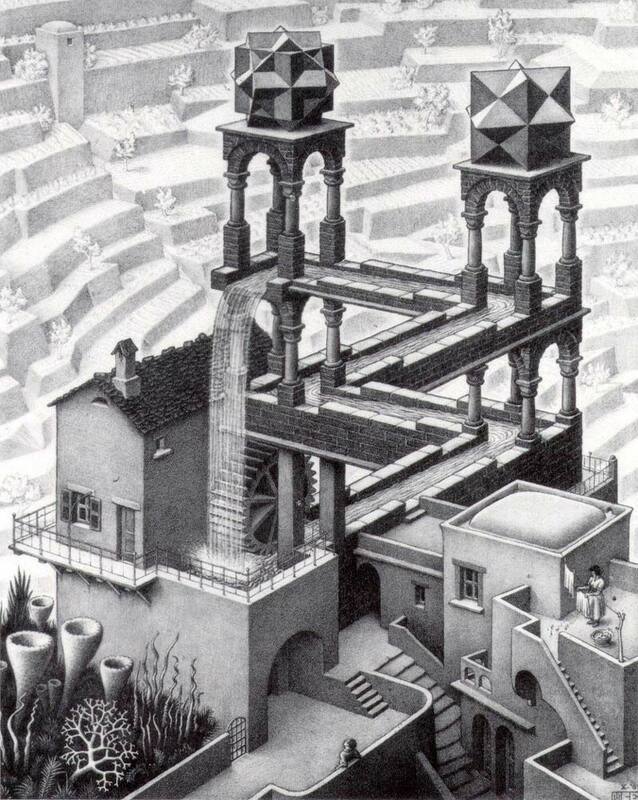 light and shade, Escher sucked us into his pictures that challenge our brain’s assumptions and perceptions. Unlike surrealists, for home the other worldly is obvious at first glance, Escher’s images become puzzling after closer examination. 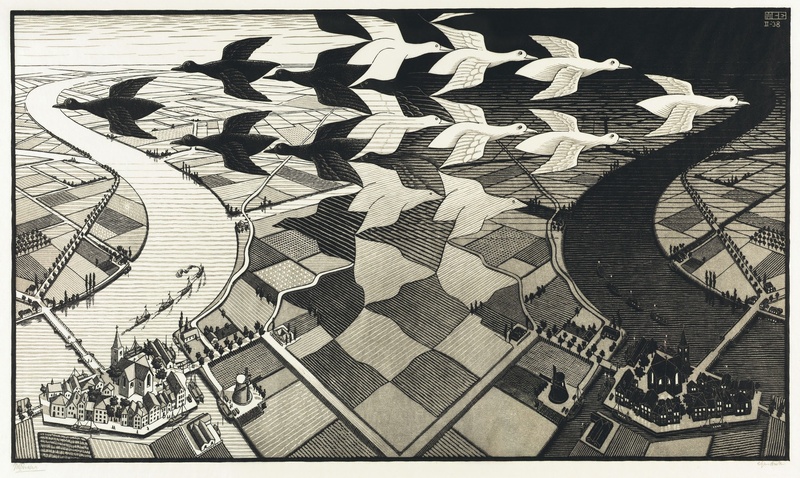 Escher, who started out as a graphic artist, brought art and maths together. His art added a human element to abstract mathematic ideas. 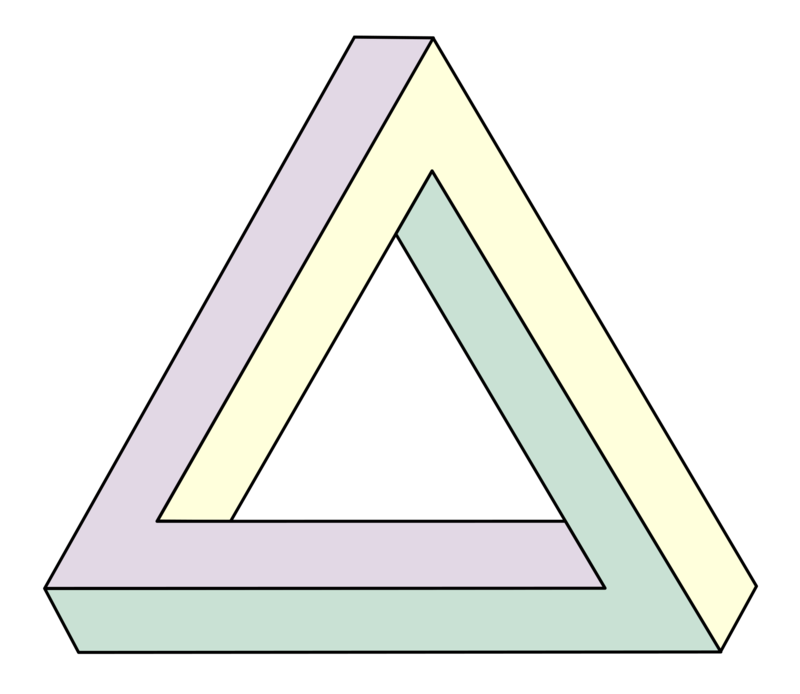 Inspired first by the geometric art on the tiles at the Alhambra in Spain, and later by other visual illusions, like Roger Penrose’s Impossible Triangle and the Möbius Strip, a non-hierarchical ‘surface with one continuous side formed by joining the ends of a rectangle after twisting one end through 180°’, Escher became obsessed with regular, repeating patterns that continue seemingly ad infinitum. 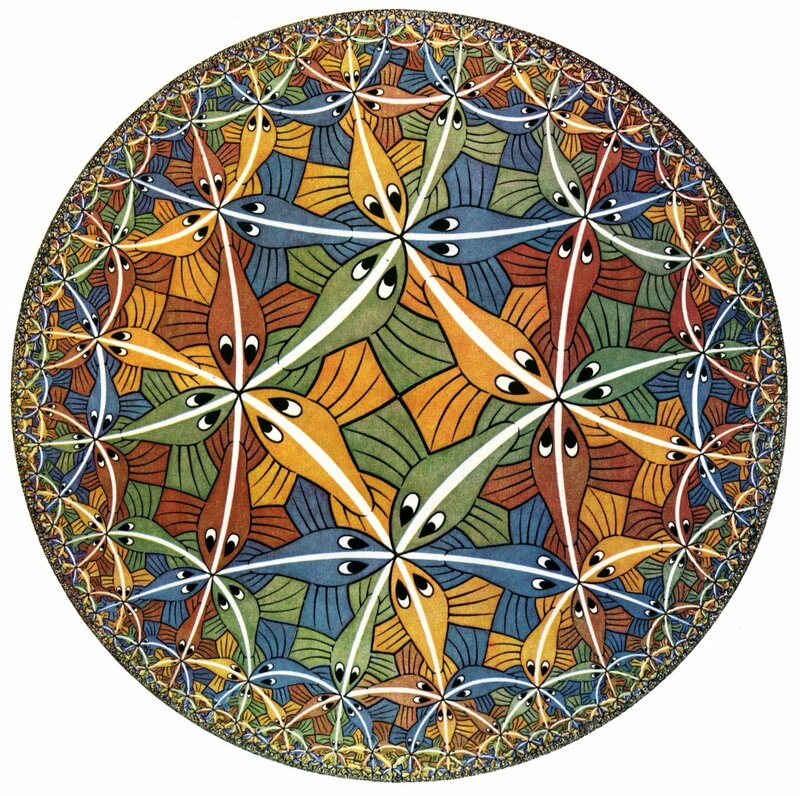 Maths can be beautiful – and Escher proves it. 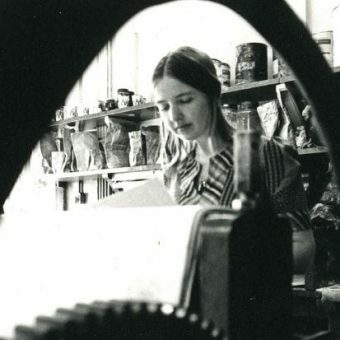 In 1971 the Netherlands’ Ministry of Foreign Affair produced this documentary called M.C. 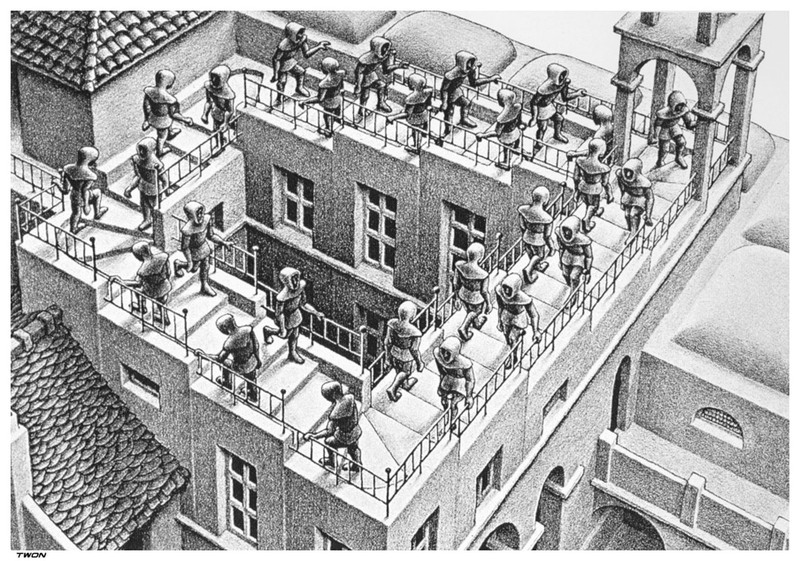 Escher: Adventures in Perception. 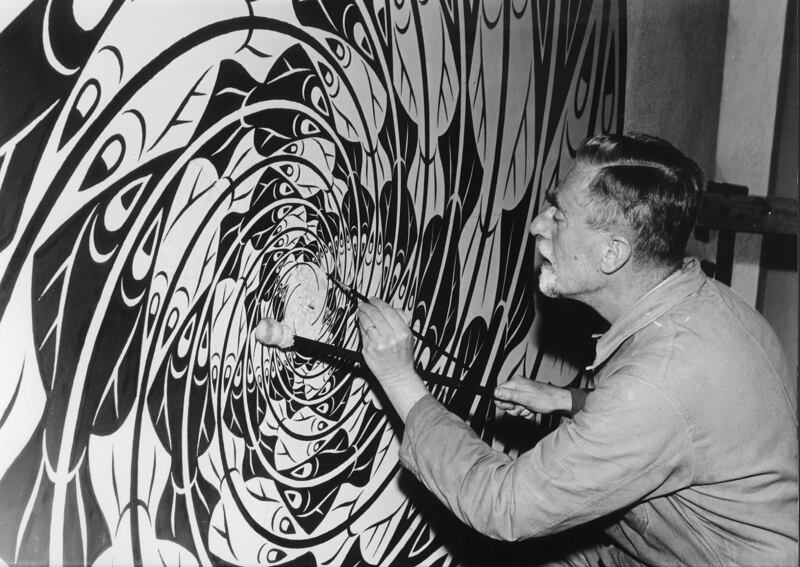 The film, made by documentary film maker Han van Gelder, includes footage of Escher working at his studio in Laren, Holland.